Why do so many schools have a canopy? It’s a well known fact that integrating outdoor learning into the school curriculum is extremely beneficial for young children. It teaches them important life skills as well as practical knowledge. As a result many new primary schools integrate a canopy to provide a covered outdoor space. There’s also a surprising number which don’t. The architects who design these spaces don’t always consider the importance of canopies in maximising the efficiency of the overall design, or the positive impact it has on the school environment. A canopy provides a safe and comfortable outdoor space for children to learn and explore. Protected from harmful UV rays and bad weather, children are able to play and learn outside all year round without compromising their safety and wellbeing. Outdoor space is little use if children can only go outside when the weather’s dry! A canopy also has a double benefit in effectively shielding classrooms from direct sunlight, so the temperature inside remains at a comfortable level. As schools are forced to expand to accomodate rising pupil numbers, the obvious solution seems to be building extra classrooms. This is often as done as cheaply as possible to reduce the squeeze on tight budgets. 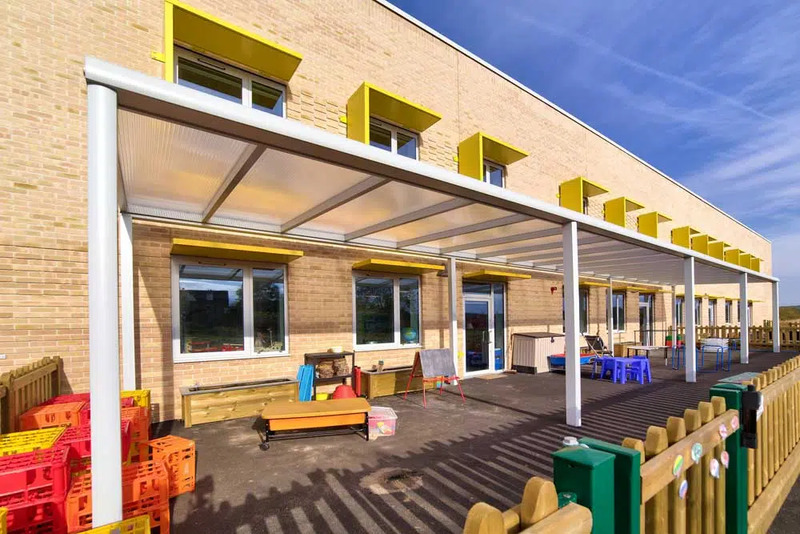 Schools don’t always consider that a canopy is an extremely cost-effective way to provide extra covered learning space for a fraction of the cost of traditional build. Canopies are becoming more common in schools, but have you considered how versatile they really are? Canopies in playgrounds allow children to play outside even in bad weather. They allow teachers to take lessons outside all year round, and provide a covered area for equipment storage, protecting it from the sun and bad weather. A covered walkway canopy allows students and teachers to move around the school in comfort; it helps guide pupil movement; and allows easy flow from different buildings without compromising on natural light. Or a dining canopy is ideal for an all-year-round outdoor dining space – include Enclosashade infill blinds for the sides, to allow total protection from the weather. And a good looking entrance canopy can be used to make a stunning first impression. Using lacquered aluminium (like the Spaceshade model) is a good choice for a school canopy. 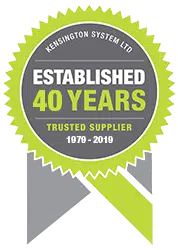 It’s high quality and long-lasting; it can be powder coated in any specified colour, and unlike steel, is virtually maintenance free. A clean, streamlined design with integrated guttering reduces the risk of damage and dramatically improves its overall aesthetic. Spaceshade’s modular design makes it extremely customisable, making it easy and cost-effective to create a bespoke solution specific to the situation. With up to a 7m span between posts, up to 6m projections, and both curved and apex roofs available, a Spaceshade canopy can be matched to your exact requirements. Spaceshade is designed and built to last at least 25 years; and we guarantee it for 10 of them. Compare Spaceshade’s clean, modern aesthetic, with hidden gutters and downpipes – to a typical steel canopy, where the gutters and downpipes are exposed and clearly visible.